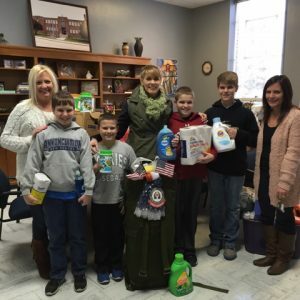 Faculty, staff and students at Annunciation BVM School in McSherrystown, PA surprised Roots for Boots with a generous Fisher House Wish List collection! This collection came to fruition in order to honor Lt. Patrick Staub, an ABVM alumni. Roots for Boots expresses much gratitude to this troop supporting school!